Billboards – there is not a lot of discussion about them but land and buildings with signage erected or painted on them can be quite valuable. In some instances, the signage space on the side of a building, if along a major highway, is more valuable than the building on which it’s painted. When acquiring land or a building where the real value to the buyer is the signage opportunities, then due diligence needs to be conducted on whether the billboard or building sign is in compliance with regulations. Most municipalities will have regulations that address signage and regulate its size, etc. Most states will also have regulations addressing these same issues. It’s incumbent that a buyer conducting diligence or a current owner wanting to ensure continued compliance, research both. A building owner in California found out the hard way when it bought a building with signage opportunities along a major highway. West Washington Properties (WWP) acquired a building in Los Angeles that contained a wallscape within 660 feet of a highway. The wallscape was more valuable than the building. WWP located the permit issued by the City of Los Angeles but failed to search for a permit by California’s Department of Transportation (Caltrans). Caltrans regulates signage along highways. Years later, when Caltrans issued a notice of violation, WWP ended up on the losing end of an expensive court battle and facing required changes to the signage that will reduce the building's value by millions. The signage violated state law in California but had been on the side of the building for years without comment or action by the state. Unfortunately, just because a state or local government hasn’t enforced its regulations to date, doesn’t necessarily mean it won’t in the future. Also, while noncompliant signage may be grandfathered under some state or local laws if it's been in place for a while, that is not always the case. This risk needs to be taken into consideration when determining whether to buy certain land or buildings for their signage and how much a buyer wants to pay for it. In some states, as is the case in California, there may be overlap between the state and local regulations, requiring a landowner to comply with both. In other states, the state picks up where the local rules leave off. In Ohio, the laws and regulations affecting outdoor advertising are found at O.R.C. 5516 and O.A.C. 5501:2-2. In 2011, the state issued a reference guide on the topic that can help an owner or prospective owner understand what will or will not be applicable. 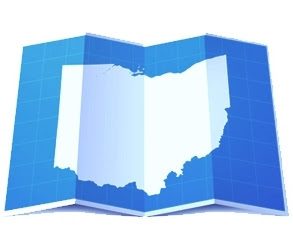 Generally speaking, in Ohio, state law covers areas outside of the municipalities, while signage within the urban areas is covered by local law. Great blog good consumer content , I get lot of knowledge from this article , keep up the work. You have written a very good ideas. Thanks.